At Catskill Regional Medical Center, we're investing in our sense of community, expanding our services lines to match the needs of our patients and neighbors, as well as enhanced technology that will save lives in Sullivan County and beyond. "When I began looking for the "best" center for Max I chose CRMC. You are the best. Many thanks to you and your warm, concerned staff for providing a safe haven for Max and giving me much needed respite. We will see how his nasty disease progresses and if possible will send him again next summer. … Many thanks for everything." "Three and a half months ago, my family lost someone that meant the world to us: my father. We made many trips to Catskill Regional with my father for comfort care. We did have a few star employees that deserve recognition. My father was a hard patient, we will never take that from him, but he adored two employees and they were great to him." "I would like to give you a special 'Thank You' to all of you for the care you've given. You were special to a part of our lives for the year we knew you all. You were very caring. Nurses like you are never forgotten. I just can't thank you enough." "I cannot thank you enough for the special care and concern you all show me each time I am here for treatment. I feel as though I am being cared for by members of my own family." "All of the staff in the departments I have had contact with are spectacular. I would like to pay special tribute to the Oncology Department. All of the staff are professional, knowledgeable and efficient. But most of all, they are nice!" "I want to thank you for the wonderful care you gave our father...you were all generous, attentive, kind and loving. You could not have been any kinder if he were your own father. The treatments he received helped him to spend the last six weeks at home. That is where he wanted to be. Your kindness did not stop there. You also cared for his daughters during a very difficult time." "How do we start to name all the kindnesses you did for my husband when he came to your unit? Your welcome, your smiles, your total caring for his needs. It will never be forgotten by a very grateful family." "What we thought would be a traumatic experience turned out so wonderful." "We appreciated the sandwiches that were sent to the Chapel for the family. Even though it was a terrible situation, the hospital staff helped us prepare for the end of Joey's life. He had a wonderful nurse and she should be commended." "I sincerely appreciate the special effort you made." "She took the time to explain the test to me. Her professional demeanor, smile and obvious love of her job made me feel reassured and comfortable and made the procedure bearable. While she was doing the test, I could not help but to think of how many patients have been positively affected by her radiant personality and reassuring confident ways." "Keep in mind that to a 9-year-old boy, a CT scan can be very scary. The staff made him and his father feel so at ease. With each step of this experience, everyone they came in contact with made them feel safe and that everything would be OK. How blessed CRMC is to have nurses like this. " "To the x-ray staff who made my daughter's cat scan a most pleasurable experience. You should be so very proud of their kindness, compassion and efficiency from my first phone call to schedule, dealing with authorizations and the overall experience." "At first I was nervous, but once I met the technicians, my nerves disappeared. They were exceptional! I just want to thank them again for being so polite and caring toward me when I came in!" "The family stated that those employees/volunteers…there custom service was WONDERFUL! They went above and beyond & made the family feel welcomed. "I would like to commend the entire ER staff for their quick, outstanding care. Special thanks to the entire RT Department for their excellence as well." "It is refreshing to see that CRMC is now a medical environment that provides quality care to their patients and realizes that especially with the special needs population to go that extra mile is essential in delivering this care. From our initial emergency room visit to admission, we were able to truly see medical professionals who take their job seriously, with a caring heart. Your physicians, nurses, aides, lab technicians, housekeeping and dietary staff all have one goal in mind -- the patient. God bless each of you." "I can't praise the staff enough for the compassion and kindness they show me each and every time I come here. From the ladies at the registration desk, the housekeeping staff, the unit secretaries, to the exemplary nursing staff, I commend them for the superb job they do each and every day. I have seen and heard many of the nurses handle patients who are drunk, out of control or simply not there for an emergency. The nurses treat each and every patient with professionalism, empathy and understanding." "Your staff was excellent and took great care of me." "I have to tell you how impressed I am with the service I personally received yesterday at the Emergency Room. From the moment I walked in to the time I left, everyone was awesome." " I am a 28-year-old man from Brooklyn. Hatzalah EMT service rushed me into your ER with heart palpitations and shortness of breath. I was very impressed by the care and dignity the staff showed us. I also observed their interactions with other patients while I was there and was equally impressed. I ended up spending about 6 or more hours in your ER and came away with an absolute respect for the way your entire staff conducted their 'business as usual.' With a friendly a compassionate smile, sincere care and some light humor to lighten the mood and ease our fears, your staff helped us to make the best out of an unfortunate episode. And of course the whole staff was just extremely nice and accommodating of the limitations of what we can and cannot do on the Sabbath. It is good to know that if G-D forbid necessary, ,there is a good and reliable place that is sensitive to our religious needs to turn to for medical assistance even when far away from home. All I can say is thank you and continue your good work! " "My children are involved in medical hospitals and their hospitals should take lessons from your staff." "Everyone was unbelievable, from the nurses to the housekeeping staff. Everyone was fantastic." "I wish to commend Catskill Regional's ER for having a staff that administers quality medical care with professionalism and humanity." "My daughter hurt her ankle playing soccer. There was an employee there that really stood out. After my daughter was in the hallway on a bed she offered her a pillow for her head and for under her foot. She also offered a blanket. She was a pleasure and ran around trying to help everywhere she could and did it all with a smile." "Many thanks for the care and attention given to me when I came to your emergency room. My husband and I were very impressed with the care that I received." "We felt we were in great hands and want to thank everyone." "My recent visit to the CRMC Emergency Room was more than just fine; it was wonderful. The nurses and technicians were so kind, yet truly professional in every way. It was so pleasing and comforting to have the highest order of care and understanding." "I had an asthma attack. I was transferred to Catskill Regional Medical Center were I received excellent treatment. My nurse was the best. You all took great care of me. God bless you all." "In less than two hours from leaving my home to returning, I had been examined, reassured, made pain-free and given two prescriptions as well as a printed detailed explanation and follow-up instructions. I venture that the care and caring I received at Catskill is as good as, if not superior, to that of any hospital in the state, rural or urban." "Exceptional attention was given to us on our Emergency Room visit." "This, fortunately for me, was a wonderful experience in your facillity. The response I received from the entire staff was exceptional, and in a few hours I was able to leave the hospital, walking once again. The attention everyone paid to me was very professional, curteous and caring and the AP who repositioned my hep was wonderful. Everyone was very attentive and made me feel very comfortable." "Don and I want to share with you our satisfaction and pleasure during his stay in the hospital. … Don had blood in his urine. We went to the ER and we could not have asked for better care. To find ourselves in the new upscale E.R. was a plus. His stay on the 5th floor was equally attentive. ... They also made me comfortable and saw that I had a sandwich and a drink." "From the care he received in your Emergency Department, to that provided in the CCU, it was provided with compassion, empathy, caring and quality. The staff were extraordinary. I do not believe that my father and family could have been treated better. You should be proud of your staff and the way in which they handled my fathers' situation." "The treatment received from the staff that evening was exceptional. Not only were they skilled and knowledgeable in stabilizing him in preparation for transport to Westchester County Medical Center, but the compassion shown to Luke and his family was overwhelming. From the bottom of our heart, we appreciate your service to ourselves and our community. Thank you for a job well done!" "There was only a short wait and he was taken in for examination. The new emergency facility is a big improvement and he received very careful and competent care." "Intake was speedy, nurse Brian did vitals, asked me questions and took me to Xray where, after a short wait, tech Adam took 4 "pictures" of my foot . . . Nurse Brian came back to me a few mins later with the good news that my foot was NOT broken but instead severely sprained...I was so impressed with the speed and ease of the visit." "I get many Thanks from the patients I see and it's important to me that their visit is the best it can be." "One staff member in particular went above and beyond the call of duty to get me the data I needed and to explain all the reasons for me. She was very sweet and polite." "I recently came in for an outpatient procedure and I wanted to let you know that from the moment I walked in, until the moment I walked out, I was treated wonderfully. The staff were helpful and professional and the facility was exceptionally clean. I am glad that I came here and will tell all my friends about my experience." "I just had a colonoscopy at Catskill Regional. Dr. Leidner's skill goes without saying, but it is of the highest. The nurses in that area were professional, efficient, and friendly, making the procedure quite relaxing, caring, and positive." "I was at the hospital for an out-patient procedure (colonoscopy)… I was impressed by the professional attitude, friendliness and thorough competence of the staff and the spotless appearance of the facility. From the moment that I walked through the front door and was escored to admissions to the ride in a wheelchair back to the front door to go home, your staff excelled at making what could have been a very unpleasant day bearable. I feel we are fortunate to have a facility of this caliber available for our use in this area. Keep up the good work." We are writing to express our gratitude to the individuals listed below for the superlative care that William A. Smith received during his three visits to the emergency room and recent hospitalization. ER staff: Brian Costa, RN and Bob, RN carried Bill out of the car because he couldn’t walk and then served as his nurses. Dr. Paul, thank you again for your tremendous efforts in making sure that Bill got the care he needed. Mary Kay, RN, one of the most caring individuals it has ever been our privilege to know. Thank you also to the Unit Secretary Donna Hessinger and technician Eva. We are especially appreciative of the fact that from the time we entered the ER until treatment began, there was virtually no wait time – we received instant care. Those who contributed to Bill’s care after he was admitted: Doctors Shahzad, Omar, Fishman, and especially Dr. Pinto, who went above and beyond the call of duty on Bill’s behalf. Thank you again to the second floor nurses Alease Jennifer and Jefsonyan. It is with sincere appreciation for the role that they played in making Bill ambulatory again that we recognize physical therapists Catherine Nicoli and occupational therapist Kendra. Our gratitude also goes out to Leah Houghtaling from food services for making sure that Bill got the diet he needed. A special thank you to Joan Muino, CSS for helping us through the process of getting Bill transferred to a rehabilitation facility. We know that you would say you’re only doing your job Joan, but you can never truly know how grateful we are to have had someone as kind and conscientious as you are working on our behalf. Thank you to Dr. Galarneau who has done more than a fantastic job, because of you all of these wonderful things are happening. We realize that there are others who had a part in Bill’s care who were not recognized here. To those individuals, please know that your contribution to Bill’s recovery is just as appreciated as the contributions of those named above. There are great many positive things to be said about our recent experiences with CRMC. To sum up our feelings regarding the staff at CRMC; uncommon skill and compassion were common virtues." "Just wanted to express my gratitude and thanks to you and all your staff before and during my procedure last week. Everyone’s professionalism helped ease any anxiety I had. I will be certain to recommend your doctor, Maribeth, the folks in the ER, the nurses in the recovery room and of course CRMC to everyone I know." "Thank you once again for extending such outstanding care to Grandpa! Thank you for going the extra above and beyond once again for our family. Just your presence brings Grandma and Gradpa and Mom so much comfort. Grandpa, Mom, myself and the whole family think the world of you." ""I was cared for like I was your only patient in the hospital. I cannot thank you all enough for receiving the best care at Catskill Regional Medical Center." "CCU, all the staff is wonderful and super! The patient is going to recommend this hospital to all her friends and family." "Everyone was kind and nice -- it was a wonderful experience! I was treated with respect and really appreciate it." "Belated 'thank you' for your kindness and expertise in helping my sister. For me it was like coming home. Blessings to you all." CCU -- I have nothing but praise and admiration for the personnel assigned to the unit." "Catskill Regional Medical Center has a fine staff." "Right from the Emergency Room on up, the care is exeplary. Your nurses could not be more caring, compassionate, considerate and cheerful and they are truly the "heart" of the hospital. It is a pleasure to enter any area, because the floor is always clean and shining and everything is as neat and cheerful as it can be. Everything is about as good as it could possibly be, and we are very thankful to have the gem of CRMC in our area, providing our health care." "Everyone who took care of me was WONDERFUL. They were quick to respond, gentle, kind, courteous, professional and competent. I was made to feel really well taken care of, at ease and uplifted. All the nurses, doctors and technicians were so sweet and really good natured. Let me tell you, those smiles and kind, reassuring words go a long way when you are lying there, in very unfamiliar circumstances. There was quality care. The nurses were all very patient, caring and good-humored. The technicians who drew blood and took my echocardiogram were very invariably gentle. The man from food services who brought me my meals was so thoughtful and polite. The head nurse on the floor was lovely. And of course, the doctors were terrific. The man who took down my medical history was really helpful, and the lady who checked me out and discussed my insurance was the same. I want to thank you and your staff for making what could have been a frightening and unpleasant experience into one I raved to my friends about." "We were very satisfied with the level of care provided and the professionalism and caring attitude from everyone starting with the admittance staff and continuing with the doctors, nurses and aides. This is a much-needed facility in our area." "The entire staff was great! Such wonderful caregivers!" "I was attended to by more than a dozen different nurses, nurse assistants and other technicians. Each one was kind, skilled and professional. I never experienced them as impatient or rushed. The housekeeping and food services personnel were equally and appropriately considerate, friendly and upbeat. I feel unfortunate to have a facility in the immediate area with such excellent support staff." "The family would like to thank the nurses, doctors, and other healthcare professionals at Catskill Regional Medical Center who helped to care for Ron during the last three weeks of his life, They were kind, caring, and compassionate, and we truly appreciate everything they did." "To the wonderful nurses, lab and technician staff and doctors who worked on Randall on 6/20/14. Although this is only a small token of our family’s immense heartfelt gratitude, we want to say thank you for all you did to get our dad and family through a very difficult and scary night. You took great care of our dad/husband/grandpa/brother and he is doing wonderful at home. He is getting much stronger each day. He, as all of our family, is a fighter. But without you he would not have made it through. Your care for him and supportiveness to our family will never be forgotten. God Bless You All!!!" "This was my first experience in entering your Catskill Regional Hospital and I wanted you to know how much I apprecaited the speical “caring” services I enjoyed from Registered Nurse, Mrs. Mary O’Shea. She was very attentive, listened to my concerns, made me feel very confident (I was nervous) and I wanted her to be recognized by your hospital for her professional services. Please thank her for all her help on my behalf." “I would like to share with you my recent experience at CRMC. Now, although it was frightening at first, your wonderful doctors, nurses, and staff made me feel at ease and helped me to begin the mending process. I have truly never seen a team work so well together, whether it was days, nights in whatever floor I was on at any given time. "I want to say “Thank You” for all you do. Calling me, to see how I am doing. This is unheard of that somehow you show so much care for your patients. God blessed you with a good choice. You are a “Guardian Angel” with the work you do and I really appreciate it. My brother, mother and father all passed and Hackensack Medical staff were so cold. I thank you for your warm heart!!! God created you to do at what YOU do BEST. Help hurt people. No hospital ever called me regarding my brother, mother, father – YOU DID! I really appreciate your help with my burns. Thank you and “GOD BLESS YOU” for your work." "Your employees were very efficient and kind, and helped me with my condition." "The Callicoon facility is spotless clean; the food is great. My rehab crew was very adept and on the ball, and my nurses were superior in every way. The whole gang did everything possible to make my stay pleasant. Thanks again for all the TLC and smiling faces." "I was seen in the Grover M. Hermann Hospital ER by Mr. Sam Berger, NP and Ms. Diana Duffy. The care and compassion I received was outstanding. Kudos to these fine health care professionals who not only provided exceptional care but also provided a great sense of comfort." "God bless you and God bless the staff at the Harris campus. It is simply amazing the quality of people that you have." "They were very caring toward my mother. They all showed compassion for a patient who went through a lot and was in a lot of pain. They made her feel comfortable in a very uncomfortable situation. 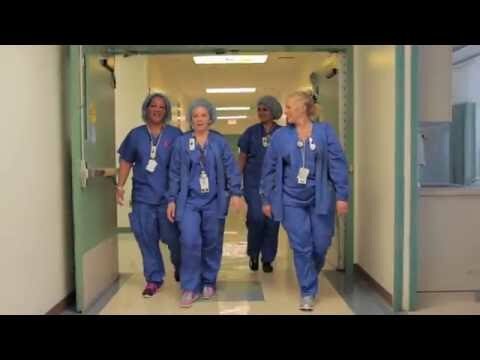 Staff like this makes coming to Catskill Regional Medical Center the right choice. It makes you want to be able to come back again if the situation ever arises that you need medical treatment of any kind." "There are great nurses on the 5th floor of your hospital in Critical Care. Two nurses were very nice, thoughtful and caring toward my sister-in-law." "My experience with the staff from the Emergency Room, Ambulatory Surgery and 5 East has been very positive. Despite all the challenges that these nurses face, they ALWAYS provided me with safe, professional and compassionate care. And a warm smile." "We want to thank you for the patient, caring support and nursing you provided. We have nothing but good things to say about your staff and facility." "The nursing staff is great. They were so wonderful and cooperative. He felt very comfortable and was convinced that his daughter is getting the best of care." "You have done such wonderful things for the hospital; Jodi is a wonderful person, and the Skilled Nursing Unit staff was great to her Mom while she was a patient on SNU." "The Oncology Outpatient Unit is to be commended for the care and consideration shown to my wife! They saved us traveling 200 miles and four days. It is comforting and impressive to us to see such coordination between two campuses." "My spouse was seen in your out patient department for testing and biopsy. …everyone we came into contact with a your facility was kind, pleasant and helpful. The clerks, techs and nursing staff were all very professional and helped put as at ease and Dr Newland-Pagan was fantastic..thank you all. You can be proud of your facility and staff"
"Thank you! For the wonderful care of all at the Hospital and especially the oncology unit. Cancer free 4 1/2 years. I will never forget your kindness." "I should llike to write a long letter commending the service I received this past week, while I was dealing with a blood clot in the lung! I was thoroughly cared for, in an extremely caring and often funny way due to the humor of the staff!" "Karen in ER, who called my wife to make sure she got home safely ...I also want to thank Eve, for taking my wife's phone calls every 2 hours every day for three weeks and was always gracious, understanding and caring with her. …I will be forever thankful that you were kind and considerate to my wife, above and beyond and to have been in your kind, caring, and capable hands. Much I don't remember, but my wife told me that I was blessed to have all of you at my side." "The staff is absolutely wonderful -- very courteous and skilled. The doctor did a great job with surgery and the results achieved in OT. The hospital is blessed to have such a wonderful surgeon and an extremely skilled therapist." "I was injured in a fall that fractured my hip and I was operated on. From the beginning the physical therapist and occupational therapist helped me get up and around. They were compassionate, caring and persistent. One problem that I feared were the nine steps leading up to my house. They told me that they would not discharge me unless they were sure that I would be able to navigate them. They were right. It was easy to climb those steps." "Your staff is professional, knowledgeable and most of all cares about the patients and how the patients feel. Your Occupational Therapy Department is a credit to the hospital. The Department should be acknowledged for their great work and almost miraculous achievements they accomplish with the hospital's patients." "CRMC is doing a great job. He and his wife have been to many hospitals, and CRMC ranks right up there." "They realize my problem with in minutes, told me things I could do to help. ... My knee feels so much better since I have started physical therapy with them. I feel that this time its going to make a difference and can see some thing already feeling better just after 2 weeks, they do an outstanding job and are very friendly, I would recommend them to anyone I know...just think they should be acknowledged on how good a job they do." "I was the recent recipient of excellent care and concern and would like to say "Thank You" for your devotion and singular attention. …I am so very grateful I chose Grover Herman for recuperating and bringing myself up to par. You are an excellent group of dedicated servants and again, I say, God bless you all. May your futures be as blessed as you make every patient's day to day experiences"
Our mom has been at SNU since April and we have been very happy with the care and attention she has received. Although we wish she could have lived with us longer we know she has a much wider social experience now. It is also comforting to know the staff get to know her personality and encourage here sense of humor! Thank you! My son's care, from his first ER visit and follow-up stays in CCU and the Second floor and now in the SNU has been so comforting to me, his Mom. … The head nurse at SNU, Linda and the Administrators, Faith and now Pamela and Eileen, the Social Worker, deserve much of the credit for getting his case needs identified with the utmost medical knowledge as well as the compassion for Sam and those who love him. All the nurses and aides are precious. I am at the hospital almost every day and see how diligent they are with his care and I appreciate so much.....I could hug them all. I am truly so much less on edge regarding his life. From Sam, Jr., a heartfelt thanks to all. "The entire group of nurses, anesthesiologists and the physician were both caring and extremely competent. They made what could have been a frightening and anxious experience, one which I understood, feel greatly cared for. I felt comfortable and safe." "I think you should know how well EVERYONE worked together. The nurses from the holding area to the recovery room were all so attentive and caring. I must say all were excellent. It was very consoling to have their experience." "I was extremely impressed with the level of attention and care given. Everyone I came in contact with demonstrated a commitment to excellence and getting it right!" "I had a wonderful experience. The personnel were extremely friendly and helpful, and very attentive to my comfort and well being. My wife and I will not hesitate to use the services of your hospital the next time a need arises." "My sincere appreciation for the staff who worked most closely with me to provide a second chance in life. Beyond their skills and expertise, each physician visited with me daily to check on my status, entertain my myriad of questions and demystify the process. I felt confident in their care and judgment about what was best on my medical behalf. Three nurses in particular also skillfully attended to me. The compassion and ethic of care of each of these women is something I will never forget." "Our family feels very blessed that Dr. Shahzad has been able to successfully operate on Dad and each time the results were positive. Each time we expected and dreaded that Dad would end up with a colonoscopy bag. Each time Dr. Shahzad, with his great knowledge and skill, was able to perform the surgery and not install a bag even on a temporary basis. During Dad's hospitalizations, Dr. Shahzad was very attentive, ready to answer our many questions. ... My family will be eternally grateful for Dr. Shahzad and his skilled surgeries that have given us another four years with Dad. ...To have a doctor of his caliber at CRMC is a blessing for all Sullivan County residents. He is a wonderful surgeon and a real asset for all of us." "I did not know the caliber of doctors that you had on your staff . . . Dr Shahzad was . . . one of many miracle's for our family inside your hospital walls. Dr. Shahzad has gone on to see my Grandfather many times in the years since and words can not express how thankful we are for this continued care. I personally grew from a person of great doubt to a proud cheerleader for Dr. Shahzad. In the moment when he was first explaining what had to be done until this day, my entire family is in awe of his tremendous talent and skill. ... Thankfully for us, this complete stranger had the best of minds and the steadiest of hands, and is now deeply adored by our entire family. Some of the things I observed that impressed me the most are the way Dr. Shahzad cares first and foremost for the patient, he is so quick and efficient in the way he accesses the problem, even once assembling his team on a Sunday to do a necessary procedure. He really has a way of looking at the patient, not just the X-rays and scans. ... His way with patients and there families is a precious gift. ... He knew right away the man Grandpa was and how much he would not want a colonoscopy bag and Dr. Shahzad did all he could to make sure that was not something we had to face. ... Now instead of doubting CRMC's ability to treat and help patients, if I know of someone needing surgery, I say to them, "so have you ever been to Sullivan Co?" The best care possible is right there nestled in those beautiful mountains." ...I wanted to extend my feelings of deepest, sincere thanks for having this gifted man on your staff. ... iT IS CONSTANTLY INCREDIBLE TO ME HOW MANY HE HAS SAVED AND HOW MANY LIVES HE HAS CHANGED, MINE INCLUDED." "I am writing to you because of the excellent experience I had at your hospital. On February 11, 2014 I had total hip replacement surgery. Dr. Episalla performed the surgery. First let me give you a little background. I am 71 years old and have never been in a hospital. To put it mildly, I was scared to death. We arrived early in the morning and the nurses immediately took me in. As I said, I was scared. From the first nurse who told me to undress and put on a gown to the nurses in the operating room… All treated me just great. They were all very friendly, caring and comforting. I then spent four days in room 200. All the nurses and nurses aides for that section were just excellent. If I rang the bell, immediately they asked what the problem was and I would have assistance in a moment or two. They were all friendly and very helpful. Even the cafeteria lady was nice. Who ever heard of having a choice for meals in a hospital? Plus, the food was very good. Another good employee you have is Kristine Conologue in Physical Therapy. She had me up and walking the next day and was so nice to work with. She was most helpful to me. I will recommend your hospital to all my friends. I have already told everyone about my experience in the hospital and my comments were all good. You have some great employees and they all know how to make a patient feel comfortable. Keep up the good work."